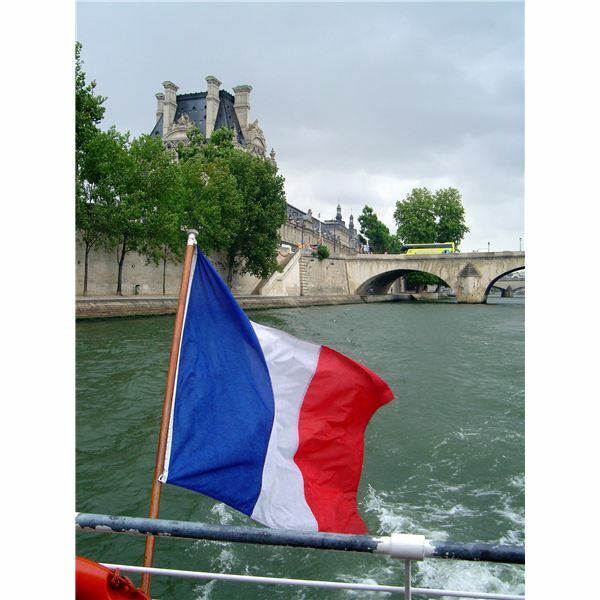 Preschool Lesson on France: Bastille Day, Music, Books, and More! Begin a global exploration with your children, and your first stop will be France. Introduce multiculturalism in a developmentally appropriate way in your classroom through activities. Focus on the likeness and differences of the people. Bring ideas from other cultures into your games, music, art, language development, dramatic play, and more. Make this preschool lesson on France a comfortable theme unit where children can travel beyond the safety of the familiar into the wide world of different and fascinating people and places. France is one of the largest countries in Europe. It's about the size of Texas, but its population is much greater; it's quite crowded. This is a good time to show both France and Texas on a world map. The French landscape varies from mountains and thick forests to rolling hills and sandy beaches. Paris is the capital city, famous for its arts and architecture. Some places of interest are the Palais du Louve (art museum), Notre Dame Cathedral, Arc de Triomphe (tomb of the unknown soldier), and the Eiffel Tower (built as an exhibition in 1889). Since France is such a large country, people live and work differently in the various regions. Some have industrial jobs in the city (they make cars, ships, textiles, steel and perfume), and others are farmers and fishermen. Grapes have made France especially famous for its wine. The children attend school every day, just like children in the United States. Many schools offer a classes de niege (class in the snow) and a classes de mer (class by the sea). The entire class travels to these areas for about a week. The children participate in many outdoor activities. During weekends, the young children of France enjoy going to the parks with their families. They watch puppet shows, and vendors sell toys boats for the children to sail in the ponds and fountains. Bonjour L'Enfant: A Child's Tour of France by Danna Troncatty Leahy [AuthorHouse, 2006] This story is about a young boy who sets out on a playful journey of France along with his little sister and beloved teddy bear. The children learn about the similarities and differences between France and home through the places they visit, music, the language, and food. Madeline by Ludwig Bemelmans is only one of a collection of books about this spunky little French girl who goes on many adventures not only in France, but other countries. This first book dating back to 1940 is about Madeline who goes to the hospital to have her appendix removed. This story about this brave little girl is set among watercolor pictures of landmarks of France and children love this first book and beg for more stories of her adventures. 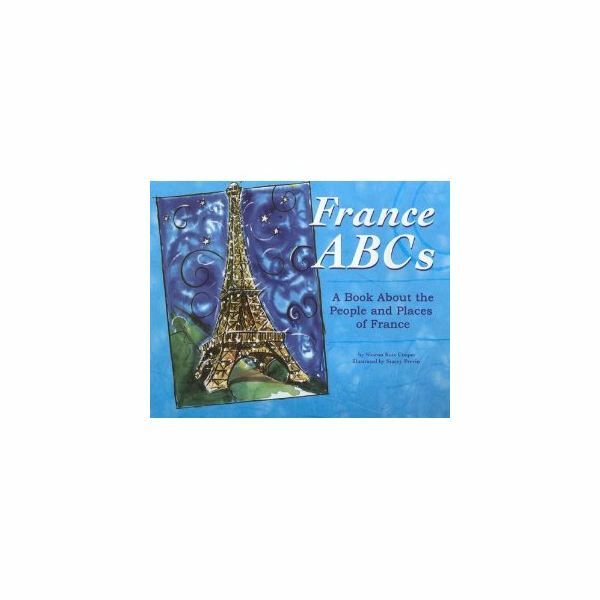 France ABC's: A Book About the People and Places of France by Sharon Katz Cooper. This book takes the children on an alphabetical exploration of the geography, people, animals, plants, history, and culture of France. Do you happen to have a French child in your class? Has a student taken a trip to France? The child and his/her family could bring a wealth of information to your students through their adventures and memorabilia they have to share. On July 14th, the people and children of France celebrate their Independence Day for France, very much like we celebrate America's Fourth of July. There are parades, carnivals, music, and fireworks. Here are a few activities for celebrating Bastille Day in your classroom. Paint brilliant explosions of fireworks onto dark blue or black construction paper. Have the children use a sprig of fresh parsley as a brush; dip it into white, yellow, and red tempera paints and dab the sprig onto the paper. Sprinkle a little table salt to the wet fireworks on the page for sparkle. Invite the children to make French flags by dividing a 3 x 5-inch piece of white construction paper into three equal sections. Instruct them to color the left-hand section blue, the right-hand section red, and leave the middle section white. Help the children attach the blue side of the flag to a Popsicle stick or plastic drinking straw for a handle. If possible, play a recording of the French National Anthem (La Marseillaise) and encourage the children to march in a parade around the classroom. Children love this traditional song in the French language. Din, din, don; din, din, don. Ding, ding, dong; ding, ding, dong. The Left Bank in Paris is noted for artists and their displays. Set up easels in one area of the classroom and have the children take turns painting. Provide a few berets (French hats) for the children to wear for the authentic artist look. Hang the children's pictures around the room and call this your "Classroom Louvre" (art museum). Children love to count; this time try counting in French. Have the children draw a rainbow on paper. Inside each ray, write in the French word using the appropriate colored crayon. Assess the children by asking questions about what they have learned. Show them pictures from the books and ask them about the children; are they just like the children here in America? Can they find any differences? Recite the numbers and colors together, and sing a verse from the song. Remember a global adventure is as close as your classroom. Fill your days with themes and lessons about different countries and teach your students that there is more than just the town you live in. – there is a world out there to explore!